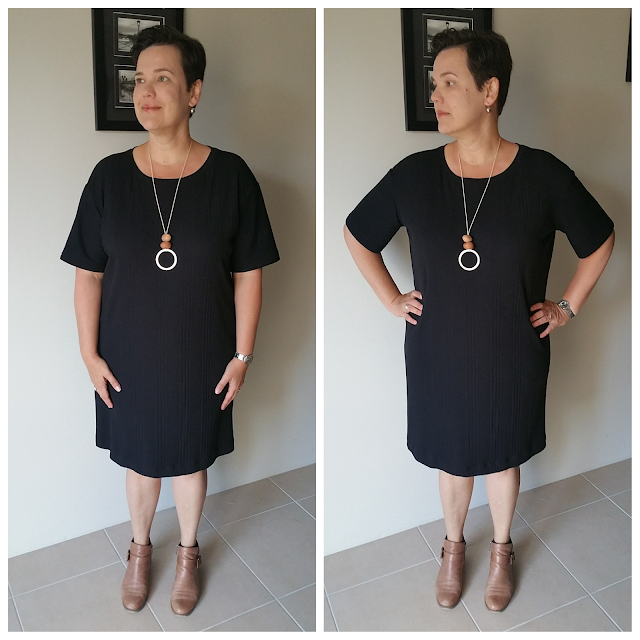 I really like my dress version of Simplicity 1366 - so I decided to make two more. When you're onto a good thing you may as well keep going with it! I decided that I needed the dress to be a smidge longer than my last version so I added an extra inch to it (so 17.5" added to the top pattern to make it hit just at my knees when hemmed). I'm pretty happy with this length now. This fabric was bought from the Ben Thanh Market in Saigon on my recent trip to Vietnam. It's hard to see but it is a ribbed knit. I can't remember how much I paid for this but it wasn't expensive and it's really good quality - a nice weight and was great to sew with. I also found my last version just a bit too sack like so I took 1cm off the CB fold, thus reducing the back by 2cm overall. I think the fit is much better now, though still loose. Neckline - I'm basically including this photo as it shows the rib pattern. Ta da! Another dress version. This fabric is a ribbed knit from Tessuti (yes, I have a THING for ribbed knits at the moment). 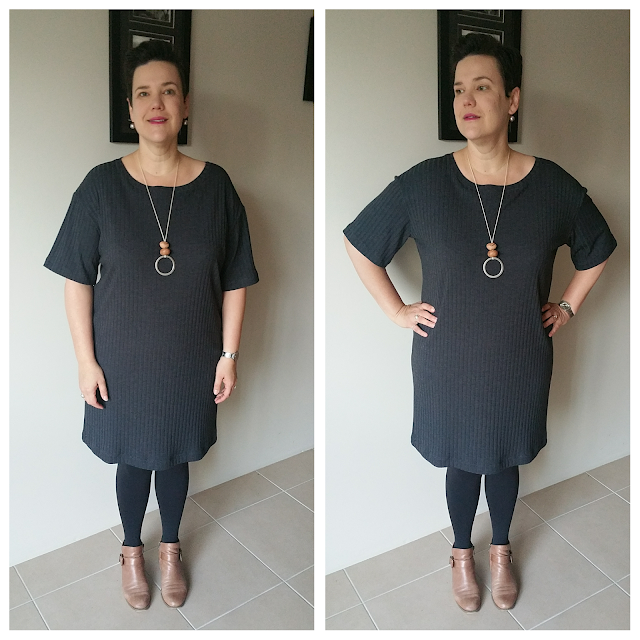 I actually HATED this dress when I first put it on - it felt really stiff, frumpy and blergh. I threw it in the wash and left it hanging upon the washing line for about two weeks. I tried it on again yesterday and I'm quite fond of it now. Go figure. 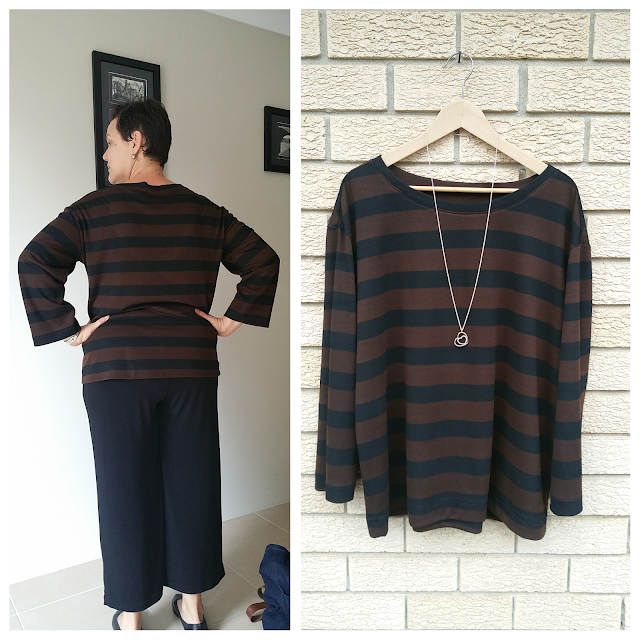 This jumper was initially a Mandy Boat Tee, but the fabric didn't have enough stretch and those sleeves were T-I-G-H-T! 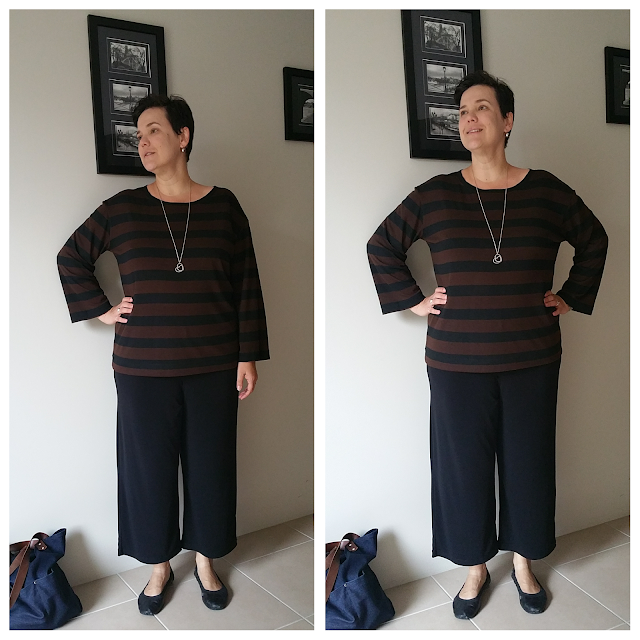 Luckily I had enough fabric left over to fangle something else out of - and this Simplicity 1366 jumper is what I came up with. I made this back in late April I think so I can't really remember what I did! The length of the top was dictated by the fabric I had left over; and the story with the sleeves is the same. This fabric is from Cabramatta and is knit of some sort - not very stretchy. I'm glad I could salvage it and turn it in to something else. I did go back to Cabramatta to see if this fabric was still there, but it had all sold out. Bummer! I guess this top is a "win" though the sleeves are a bit annoying - the kind of sleeves that will flop into your soup if you're not careful! 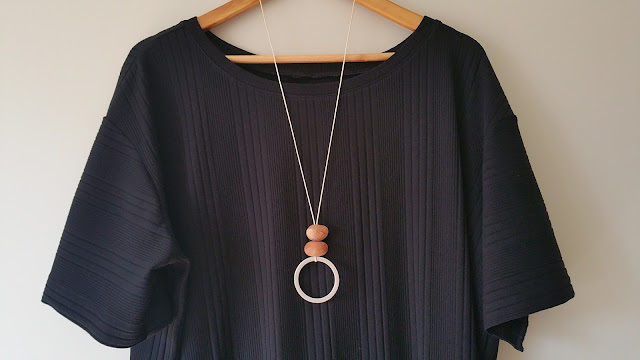 It's also not quite long enough to wear with my winter work pants (which are a slim-fit ponti pant). 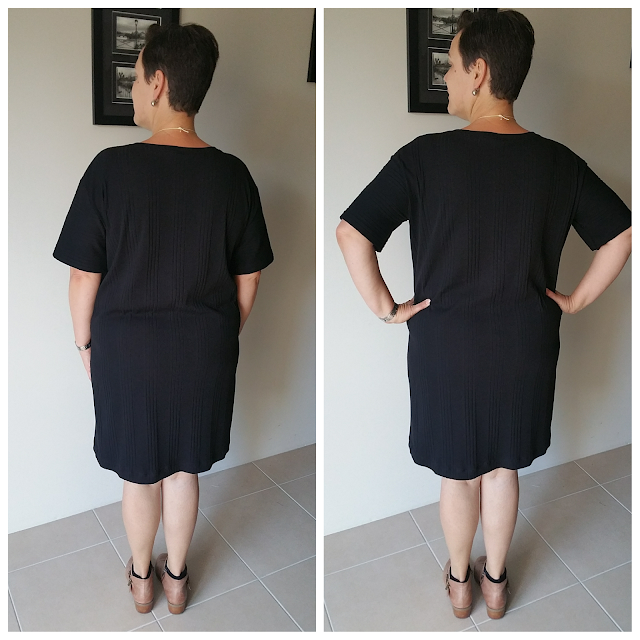 Modifications Dress: added 17.5" to the length, added 1cm to both the side of the front and back neckline and dropped the front neckline a bit. Shortened the sleeves by 5cm. Took 1cm off the CB fold.